What's New for the 2018 Alfa Romeo Stelvio? Coming out of the gate with a new, never-before-seen model, luxury Italian automaker Alfa Romeo introduces the Stelvio for 2018. The Stelvio, a compact SUV, is poised to make everyday errands a transformative experience. Although this may be the model's inaugural year, the ride will be familiar to those accustomed to Alfa Romeo's undeniable brand recognition: sleek lines, a refined build and a heavy-duty engine allow the Stelvio to hold its own among the automaker's other selections. Alfa Romeo's exciting 2018 offering is available as the standard Stelvio, the Stelvio Sport, Stelvio Ti and Ti Sport. The vehicle comes in a range of appealing hues including a wild cherry red, charcoal, and a frosty shade of pure white. All are available with matte black leather interiors offset by chrome trim, though the bold may leap for the Sport's cherry colorway with its matching red leather interior. The gorgeous monochromatic effect produced by the red leather option is stunning enough to have come from a runway in Milan, yet hard-wearing enough to stand up to cross-country travel. Similarly, the Stelvio Ti appeals to the eye with genuine oak interior trim. Of course, the modern car is all about technical and technological prowess, and on this front the Stelvio doesn't disappoint. 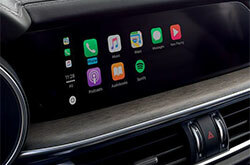 Drivers will find a multitude of remote assist features, including a remote liftgate release for convenient, hands-free storage, a remote start capability, and even remote audio controls (just don't be surprised if your passengers want to DJ!). Automatic temperature control comes standard, leaving the days of constant air conditioning and heating adjustment in the past. Optional packages such as driver assist and cold weather packages are available to complete the experience. Both veteran and budding Alfa Romeo fans alike are surely wondering: What's under the hood? The answer is a turbocharged engine equipped with 280 horsepower running on four cylinders. 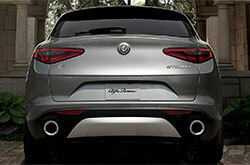 The Stelvio's powerhouse engine has been recorded accelerating from 0 to 60 mph at around 5.5-6 seconds. This standard option is both fast and reliable, but if you need more, look no further than the Stelvio's high-performance option, the almost overachieving Quadrifoglio. The Italian automaker's tests caught the Quadrifoglio's twin-turbo V6 engine accelerating from 0 to 60 mph in less than four seconds. That's at a rate of 505 horsepower, a statistic that comparable luxury SUVs will find difficult to outpace. Despite what these numbers might indicate, the Stelvio still handles smoothly and scores above the average on fuel economy, clocking 28 miles per gallon* on the highway and 22 miles per gallon* in the city. All-wheel drive comes standard in the Alfa Romeo Stelvio, making this a trusty option for difficult terrain. 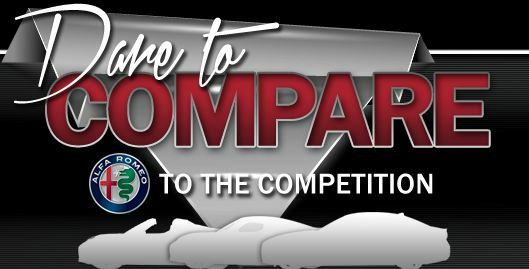 This and the impressive array of safety features earned the 2018 Alfa Romeo a spot in the U.S. News and World Report's top 10 safest luxury compact SUVs. The advent of driver assist technology has increased drivers' baseline requirements for safety features, which the Stelvio meets and exceeds with a rear-facing camera, lane departure warnings and integrated turn signal mirrors. Varying trims offer varying levels of additional safety packages to add more muscle to the Stelvio's reliability, although the standard features will likely suit most drivers well. If you're ready to give the 2018 Alfa Romeo Stelvio a test drive, visit Alfa Romeo of Scottsdale today! 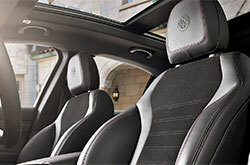 Let our knowledge and expertise enhance your Alfa Romeo experience. Why the Alfa Romeo Stelvio is the Perfect Luxury SUV for Your Summer Road Trip? Thank You for Attending Our Alfa Romeo Stelvio Launch Party!